JW51 tyres are perfect for the colder months, as they operate best at lower temperatures but in wet, dry, snowy and icy conditions. This means you have the right tyres for any conditions you might face while benefitting from improved fuel efficiency, handling, performance and grip. 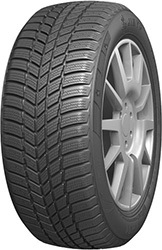 Using the right high quality tyres is essential to giving you the confidence to get the most out of every journey and really enjoy your driving, which is why Jinyu tyres are a great choice, especially the JW51’s.